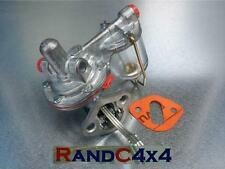 PART NUMBER YNI500030K. GENUINE LANDROVER DISCOVERY 2 TD5. NEW QUALITY PART - BUY FROM A UK LAND ROVER SPECIALIST! 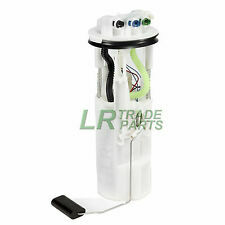 Land Rover Discovery 2.7 TD V6 Diesel Fuel Pump to fit Mk3 & Mk4 models from. to 2010, and Range Rover 2.7 Sport models, t his is the in tank electric. FITS ALL MODELS 2.7 TD V6 UP TO CHASSIS NUMBER 9A999999. Land Rover OE Part Number for reference:- 549761. Series 2 2a and 3 with the 2.25 Litre petrol engine. Wheel Nuts Hi lift jacks & Acc. Tyres Safari Snorkes Defender Parts Discovery Parts Range Rover Parts Wheels Tools Gift Ideas Series Discovery 1 89-93 Discovery 1 94-98 Discovery 2 99-04 Range Rover Classic Range Rover P38 Range Rover l322 Freelander Discovery 3 Defender 90 & 110. Also try one of our Tdi boost pins to make your Tdi perform even better. Tdi Timing Shim. The shim is designed to give you enhanced upper rev performance of the Tdi Engine. Our shim is CNC machined not laser cut, and using top quality OEM seals that will not perish or leak fuel. GENUINE USED LAND ROVER PARTS •. Excludes highlands, ireland and islands. Used item in full working order. May have odd marks as expected with age see pictures for details. Fuel Pump For Freelander TD4. This is the pump which fits in the rear wheelarch, NOT the one under the bonnet. land rover discovery 2 VDO Fuel Pump. Condition is Used. Dispatched with Royal Mail 1st Class. 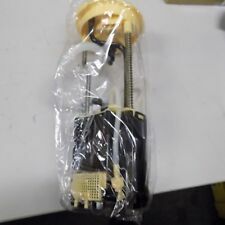 This listing is for a used part This Manual Fuel Pump is from a 1998 Discovery 1 300TDI. ESR3806 In Tank Fuel Pump Seal. Part Number: ESR3806. Freelander 1 TD4 Models. Discovery & Defender TD5 Models. Freelander Parts. Defender Parts. Series 2 & 3 - Defender 90/110/130, Discovery 1,2,3,4,5 & Sport - Freelander 1 & 2 - Range Rover Classic, P38, L322, L405, Sport & Evoque. This listing is for a genuine Land Rover used part This Automatic Fuel Pump is from a 1996 Discovery 1 300TDI. This is suitable for all Land Rover Series 2 & 3 2.25L petrol models. Add to Favourites. TDV6 In Tank Fuel Pump Module. Discovery 3/ Range Rover Sport TDV6 In Tank Fuel Pump Module. 2.7 TDV6 Models (2004-2010). Discovery 3 & Range Rover Sport. Land Rover Parts. Discovery Parts. Series 2 & 3 - Defender 90/110/130, Discovery 1,2,3,4,5 & Sport - Freelander 1 & 2 - Range Rover Classic, P38, L322, L405, Sport & Evoque. OEM NUMBERS: WFX000130, WFX100970, XNB10048. Anti Roll Bar link. FREELANDER MK 1 SOFT TOP. FREELANDER MK 1. 1.8 16V 4x4. 1.8 i 16V 4x4. IN FUEL TANK WITH FUEL SENDER UNIT. LAND ROVER. WFX000210 In Tank Fuel Pump. Part Number: WFX000210. Freelander 1 Petrol In Tank Fuel Pump & Sender Unit. Freelander 1, 1.8i Petrol, (2003-2006). Freelander 1, 2.5 V6 Petrol, (2003-2006). Freelander Parts. This will be suitable for Freelander 1 TD4. Pump numbers: BMW: 2 247 801, BOSCH: 0 445 010 011. Whenever possible, we provide the part number. If in doubt, ask. Part in working order. These are Land Rover 200/300tdi performance boost pins. The boost pin is a modified pin that replaces the standard Bosch VE pin which has been designed to give you more power through the gears. One of the pictures are of the tested pin to prove they don't wear out even after 20000 miles. Part number WQB000020. This will be suitable for Freelander 1 TD4. Suitable for versions with low pressure pump. This has 2 pins so no pump inside. unit 1, zone 4A. Whenever possible, we provide the part number. Part number : WQC000150. discovery 300 in tank fuel sender assembly. 0445010011 Bosch CR Land Rover Pump. Condition is Remanufactured. Pass ticket included. Dispatched with Royal Mail 1st Class. A OE QUALITY PART, EQUIVALENT TO LAND ROVER PART NUMBER:WFX000280G. LAND ROVER DISCOVERY 2 1998 - 2004. FUEL PUMP & SENDER. Unit 25 KELVIN WAY TRADING ESTATE. USEFUL LINKS. B70 7TW, UK. KELVIN WAY WEST BROMWICH, WEST MIDLANDS. Here we have my classified sale of a Genuine Land Rover Defender 2007 on. LAND ROVER FREELANDER 2 2.2D. FUEL PUMP IN TANK SENDER UNIT. GET IT FAST. PART NO: 6H52-9H307-BD. Here i have a EDC electronic diesel fuel injection pump ERR 6727 for a land rover discovery 300 tdi. Ready to fit. (We need your old pump). Bosch No. 0460 414 069. Here at Sheaf we are specialist diesel injection repair engineers. PART NUMBER LR023043. TD4 FUEL PUMP. GENUINE LAND ROVER FREELANDER 1. Land Rover discovery 1 300TDI Electronic Automatic Fuel Injection Diesel Pump . I'm good used condition - working when removed. Removed from a 300tdi automatic engine. See pictures for details! Questions are welcome! Happy buying! The part number for this is AH229039BC. This is an In Tank Fuel Pump removed from a 2005 Land Rover Discovery 3 2.7 TDV6. This will fit 2.7 TDV6 models between 2005 and 2009. Maltings trade club members receive further discounts call for details. Range Rover 3.6 tdv8 in tank fuel pump and sender unit. brand new genuine landrover unit. 2 years warranty. fits all 3.6 tdv8 models from 2006-2012. lr015179 x1 unsure this is correct for you give us a call with your vehicle details. ANY QUESTIONS CALL ANDY OR LUKE 01427 753394 WE DO ALL PARTS FOR ALL LANDROVERS BOTH PATTERN AND GENUINE AT VERY COMPETITIVE PRICES PLEASE CALL US ON THE PARTS LINE FOR ANY PART YOU MAY REQUIRE, WE ARE ALSO HAPPY TO GIVE ADVISE IF YOU NEED ANY. MALTINGS OFF ROAD LTD WESTWOODSIDE DONCASTER DN9 2ED. BECOME A MALTINGS TRADE CLUB MEMBER AND RECEIVE FURTHER DISCOUNT ON EBAY ITEMS,FREE CARRIDGE AND FREE LANDROVER TECHNICAL SUPPORT FROM OUR SERVICE DEPARTMENT. CALL FOR DETAILS!!!. Fuel Pump Type Under Bonnet In-Line. Land Rover. Ordered incorrectly/No Longer Required?. Not to worry! It's all about making it easier for you. Add to Favourites. 1Year Warranty . Removed from a seized series 3 2.25 L diesel and then professionally reconditioned. 1.8ltr Petrol 16V 5 door. LAND ROVER FREELANDER. From A 1998 S Reg. 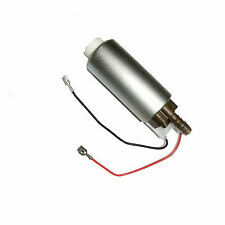 1x OE Quality Fuel Pump WFX000181. 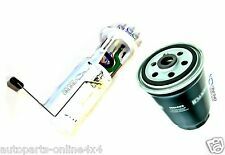 1x Mahle Quality Fuel Filter WJN000080. Land Rover Freelander TD4 New In Line Fuel Pump & Filter. Suitable for: Land Rover Freelander TD4. Freelander Parts. Series 2 & 3 - Defender 90/110/130, Discovery 1,2,3,4,5 & Sport - Freelander 1 & 2 - Range Rover Classic, P38, L322, L405, Sport & Evoque. Fuel Pump And Sender Unit (AJ Petrol 4.4 V8 EFI (220KW)). 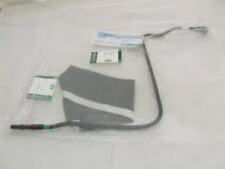 Fuel Tank & Related Parts (AJ Petrol 4.4 V8 EFI (220KW)). DISCOVERY 3 2005 - 2009. RANGE ROVER SPORT 2005 - 2009. DISCOVERY 4 2010 - 2016. 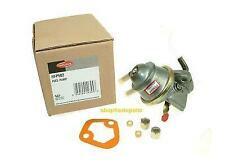 Fuel Pump And Sender Unit (Cologne V6 4.0 EFI (SOHC))((V)TO9A999999). Engine: 2.7 TDV6. Make: LAND ROVER. Model: L319 DISCOVERY 3. We have 1000s of parts on the shelves from old Saxos till latest Bentleys. Professional, friendly staff are always happy to help you. All Parts are used and may have hidden faults. Whenever possible, we provide the part number. If in doubt, ask. unit 1, zone 4A. Cash on collection. GENUINE LAND ROVER DISCOVERY 2 TD5 IN TANK FUEL PUMP. Discovery 2 TD5 In-Tank Fuel Pump Sender WFX000280. Land Rover: Discovery 2, TD5, 1998-2004. Conversion Parts Conversion Accessories. Getting your new products to your door is our No1 priority.